Bacon and the art of living is a study in the birth of the elements of bacon curing. Neither the chemical reactions, nor the different mechanical processes are simple. Everything about bacon is complex and beautiful. One of the most amazing stories within the grand story of bacon, is the story of sodium nitrite. Pork is changed into bacon by the reaction of nirtrite (NO2-). With salt, it is the curing agent. The meat industry uses nitrite in the form of an ionic compound, sodium nitrite. It is sold as Quick Cure or Insta’ Cure, Prague Salt, Prague Powder or simply Pink Salt or Curing Salt. It is coloured pink to distinguish it from ordinary salt (sodium chloride). Every spice company sells it. It is the essential ingredient in the meat curing process. Meat changes colour from the red fresh meat colour to an unappetising brown colour within days. (1) If one injects nitrite into the meat or rubs a mixture of salt and a small percentage of nitrite onto it, the meat will develop an appatizing reddish/ pinkish fresh meat colour (Hoagland, Ralph. 1914) and a characteristic cured taste. It will retain this colour for weeks and months if packed in the right conditions. (1) Nitrite provides an indispensable hurdle against a particularly nasty food pathogen, clostridium botulinum. It also endows the meat with a distinct cured taste. During ages past, it has however not been nitrite that was added to meat to accomplish this, but its cousin, nitrate (NO3-). They may be cousins, but are very different in characteristics. Nitrate takes several weeks or even months to cure meat where nitrite accomplishes the same task in 12 hours. How the change happened from using nitrate or salpeter in meat curing to nitrite is an epic story. This article tracks the migration of the meat industry from the use of saltpeter (potassium or sodium nitrate) as curing agent to sodium nitrite. 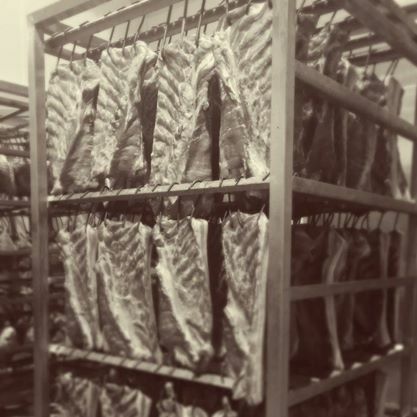 It gives an overview of the scientific discoveries which started to reveal the mechanisms of meat curing. This understanding lead to the realisation that a direct application of nitrite as the curing agent will be vastly superior to the use of saltpeter (nitrate). This was a dramatic discovery since in the late 1800’s and early 1900’s, the world saw nitrite as a dangerous drug at best and a poison that polluted drinking water and cause death of cattle. Using this directly in food and meat curing was unthinkable. Sodium nitrite was available in this time for application in the coal-tar dye and medical industries. Science and engineering have however not worked out its large scale production in a way that will make it a commercially viable proposition for direct use in meat curing from a price and availability perspective. 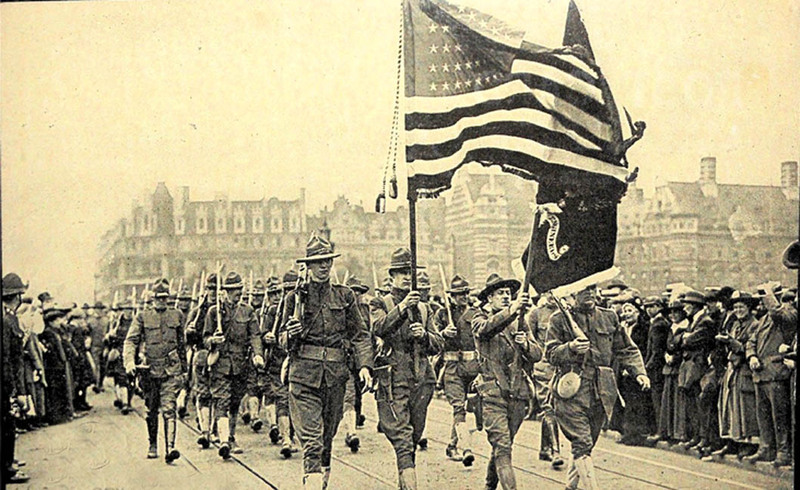 World War One provided the transition moments required to change everything. Germany invested heavily in nitrogen related technology for the war. The most organised scientific and engineering environment on the planet in the early 1900’s focused its full attention on overcoming the manufacturing challenges in the service of the manufacturing of munitions. It also required this technology to overcome the challenge of being cut off, as a result of the war, from the natural sodium nitrate deposits in Chili that it required as fertilizer to drive its enormous agriculture sector during the war. At the same time, the use of saltpeter in meat curing was prohibited under the leadership of Walther Rathenau so that the valuable nitrate could be reserved for manufacturing of munitions. This prohibition, I believe, was the initial spark that caused butchers to change to the use of sodium nitrite. At the same time, sodium nitrite was being produced in large volumes since it had, in its own right, application in the manufacturing of explosives. Health concerns and probably the need to have it reserved for munitions, lead to a ban, similar to nitrate, on its use in meat curing. So, World War One solved the scientific challenges of large scale manufacturing of sodium nitrite, the engineering challenges of building production facilities and provided the impetus for the meat industry to change by banning the use of saltpeter in meat curing. The ban was lifted after the war. Following the war, Germany had to find markets for its enormous war time chemical stock piles. One of the ways it “sold” sodium nitrite was as a meat curing agent based on its inherent benefits of curing consistency and the vastly shorter curing time required. It was introduced to the world mainly through the Chicago based firm, Griffith Laboratories, who imported it as Prague Salt from Germany and later improved on it by fusing the sodium nitrite to sodium chloride and sold it as Prague Powder. Early humans did not know they added nitrate to the meat. A mixture of salt and a small amount of saltpeter was used to cure meat in order to preserve it and to retain the fresh meat colour. The French chemist, Antoine Lavoisier worked out its chemical composition. It is an ionic compound consisting of the metal potassium and its power is nitrate. Potassium Nitrate. (Mauskopf, MSH. 1995: 96) Trade in Saltpeter around the world was done through companies such as the Dutch East Indian Company (Dutch abbreviation, VOC) who traded it for its main use as an ingredient in gunpowder. It was by volume one of the largest commodities traded by the Dutch East Indian Company who set up the trading post in 1652 that became Cape Town. Major developments shifted the balance of power away from Indie, China and home grown saltpeter production to South America where huge deposits of sodium nitrate were discovered that would become the principal source of the worlds nitrate for much of the 1800’s. 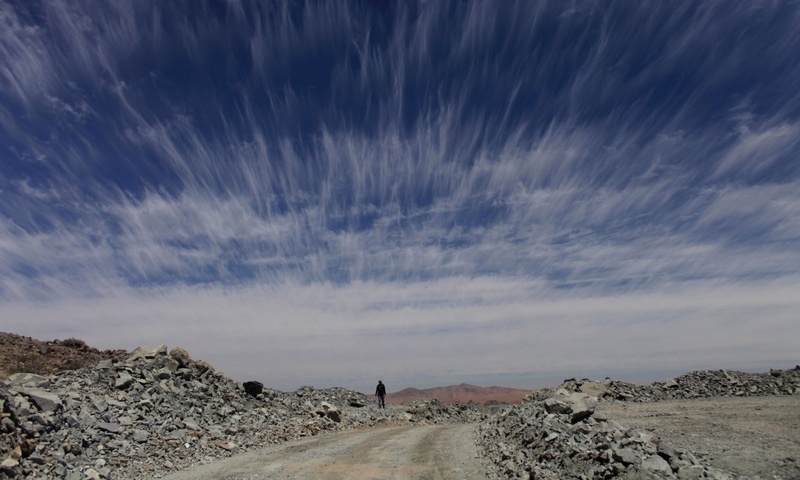 A man walks down a dirt road in the Atacama Desert. Despite being one of the most inhospitable places on earth, the Atacama is still mined: in 2010 this made world-wide news, when the Copiapó mining accident led to the dramatic rescue of 33 trapped miners (AP Photo/Dario Lopez-Mills). By the beginning of the 1900’s the country buying the largest quantity of the Chilean saltpeter was Germany (Wisniak, J, et al., 2001 :434) who used it aggressively in their agriculture sector as fertilizer. There is a close correlation between sodium and potassium nitrate. Its difficult to distinguish between sodium and potassium nitrate just by tasting it. Scientists were able to distinguish between the two compounds from the mid 1600’s and knew that sodium nitrate had a much greater ability to attract water (Whittaker, CW, 1932: 3). This made sodium nitrate a much better curing agent than potassium nitrate. The technology existed in the 1800’s to not only produce potassium nitrate (salpeter) and nitrite, but to also test for these. Remember that curing up till 1890 has been attributed to saltpeter (potassium nitrate) or Chilean saltpeter (sodium nitrate). In 1891 a German food scientist, Dr Ed Polenski, working for the German Department of Health made an observation that would change the world while studying curing brines. When he tested the curing brine made from saltpeter and salt, days after it was made, he found nitrite to be present. This was surprising since saltpeter is potassium or sodium nitrate, not nitrite. Dr Ed speculated that the nitrate (NO3-) was changed into nitrite (NO2-) through bacterial action, a reduction step between nitrate and nitrite that was well understood by this time. He had a hunch that nitrite is responsible for curing of meat and not the nitrate directly, as was previously thought. Following Dr Ed’s observations in 1891, considerable resources from around the world were dedicated to understand the chemistry of meat curing. When World War One broke out, the concept of nitrite as curing agent (as opposed to nitrate) was firmly established. Readers who dont have an interest in the detailed description of the key discoveries may want to skip over the rest of this section altogether or glance over it generally. The goal of the section is to give the reader a sense of how firmly and universally the concept of nitrite as the curing agent was established by 1914. In the midst of the technical names and jargon, don’t lose the sense of the universal interest. The 1700’s, 1800’s and beginning of the 1900’s was a time when the average person was as interested in chemistry as we are today about communication and information technology. Following Dr. Polenski’s observation, the German scientist, Notwang confirmed the presence of nitrite in curing brines in 1892, as observed by Dr Polenski, but attributed the reduction from nitrate to nitrite to the meat tissue itself. The link between nitrite and cured meat colour was finally established in 1899 by another German scientist, K. B. Lehmann in a simple but important experiment. Karl Bernhard Lehmann (September 27, 1858 – January 30, 1940) was a German hygienist and bacteriologist born in Zurich. K. B. Lehmann made another important observation that must be noted when he found the colour to be soluble in alcohol and ether and to give a spectrum showing an absorption band just at the right of the D line, and a second band, often poorly defined, at the left of the E line. On standing, the color of the solution changed to brown and gave the spectrum of alkaline hematin, the colouring group (Hoagland, Ralph. 1914). Before we look at Haldene’s contribution, let us re-cap what has been determined thus far. Polenski and Notwang discovered that nitrite were present in a mix of saltpeter and salt, after a while, even though no nitrite were present when the brine was mixed. Karl Bernhard Lehmann linked nitrite conclusively with the reddening effect of fresh meat that was boiled in a nitrite and water solution with some free acid. He also showed that this does not happen if fresh meat is placed in saltpeter and water solution and boiled immediately. K. Kisskalt showed that the same reddening occurred if fresh meat is left in saltpeter for some time. K. B. Lehmann managed to “isolate” the colour by dissolving it in ether and alcohol and analyze it spectroscopically. The reason why the knowledge did not translate to a change in curing brines was very simple. The technology and infrastructure did not exist to produce enough nitrite commercially to replace saltpeter. This means that to produce nitrite was very expensive. The lack of a large scale production process for sodium nitrite and the engineering to build these plants were however not the only factors preventing the direct use of sodium nitrite in meat curing brines. As one review literature from the late 1800’s and early 1900’s, one realises that a major hurdle that stood between the use of sodium nitrites in meat curing was the mistrust by the general public and authorities of the use of nitrites in food. The matter relate to the high level of toxicity of nitrite, a matter that will be dealt with separately in Bacon and the art of living. The first recorded direct use of nitrite as a curing agent was in 1905 in the USA where it was used in secret. (Katina, J. 2009) The USDA finally approved its use as a food additive in 1906. (porkandhealth) This did not mean that the public would accept it. Sodium Nitrite started to be used in this time as a bleach for flour in the milling industry. Several newspaper articles reveal public skepticism and the great lengths that the scientific community and industry had to go to in order to demonstrate its safety as a bleaching agent for flour. An article appeared in The Nebraska State Journal Lincoln, Nebraska on 29 June 1910 entitled, “All for bleached flour. No harm can come from its consumption says experts”. The article deals with a federal court case about the matter and interestingly enough, it seems from newspaper articles that the government was opposing its use. Many other examples can be sited. There is a 1914 reference in the London Times that shows the general view of nitrite as not just restricted to the USA. The article appeared on 9 June 1914 and a reference is made to sodium nitrite where it is described as “a dangerous drug with a powerful action on the heart.” (The London Times. 1914. Page 118) The reference was to the use of nitrite for certain heart conditions. It is interesting that sodium nitrite did not find an immediate application in the meat industry, even after it was allowed in 1906 in the USA. In my view, this points to problems surrounding availability and price. If the issue was the public perception alone, this could have been overcome with a PR campaign by the meat industry as was successfully done by the milling industry. The use of old pickle has been described much earlier than Doran’s patent. His usage of old pickle when he understood the reduction of nitrate to nitrite and nitrite’s role in curing along with the fact that sodium nitrite was available can point to only one reason – price. It comes 10 years after sodium nitrite was first tested in curing brines for meat and shows that it has never become the curing agent of choice most probably due to limited availability and price. Much more about this later. After WWI something changed. Saltpeter (potassium or sodium nitrate) has been substituted by the direct addition of nitrite to the curing brines. The question is who pioneered this. Why and how did sodium nitrite production become so commonplace that it became available to bacon curing plants around the world? Industry developments like this do not happen “by itself.” Someone drives it in order for it to become general practice in an industry. In the same way, the direct application of nitrite in curing brines must have been driven by someone. It is fair to assume that if Prague Salt was being sold to Griffith in the 1920’s, the German producers must have sold it to other countries and companies around the world also. 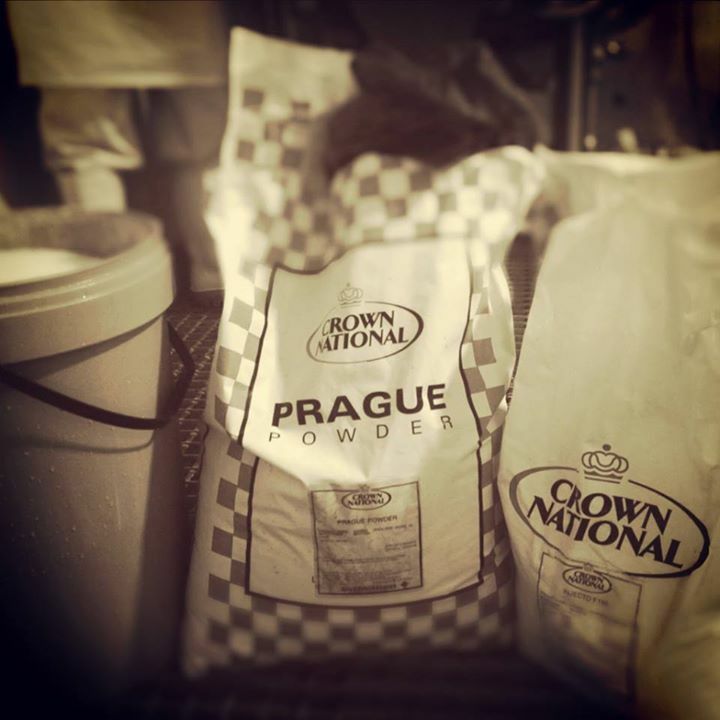 The benefits of Prague Salt and later Prague Powder over Saltpeter is dramatic. Prague Salt (sodium nitrite) does not have the slightly bitter taste of saltpeter (Brown, 1946: 223). It allows for greater product consistency since the same percentage of nitrate was not always present in the saltpeter and the reduction of nitrate to nitrite takes longer or shorter under various conditions (Industrial and Engineering Chemistry, December 1925: 1243). The big benefit was however in the curing time required. Instead of weeks or even months that is required with saltpeter, curing could now be done in days or even hours with sodium nitrite. (The Food Packer, 1954: 64) From there, brand names like Quick Cure or Instacure. This means that we have narrowed the time line for invention of Prague Salt (Sodium Nitrite) to between 1914, the beginning of the Great War and 1925 when Griffith imported it from Germany. However, a document, published in the USA in 1925 shows that sodium nitrite as curing agent has been known well before 1925. The document was prepared by the Chicago based organisation, The Institute American Meat Packers and published in December 1925. The Institute started as an alignment of the meat packing companies set up by Phil Armour, Gustavus Swift, Nelson Morris, Michael Cudahy, Jacob Dold and others with the University of Chicago. A newspaper article about the Institute sets its goal, apart from educating meat industry professionals and new recruits, “to find out how to reduce steers to beef and hogs to pork in the quickest, most economical and the most serviceable manner.” (The Indiana Gazette. 28 March 1924). Sodium Nitrite curing brines would therefore have arrived in the USA, well before 1925. The tantalizing bit of information from Griffith sets World War One as the background for the practical and large scale introduction of direct addition of nitrite into curing brines through sodium nitrite. There has to be more to the reason for saltpeter being replaced by sodium nitrite as curing agent than the reasons given by Griffith. For starters, the meat industry has always been under pressure to work fast with less people due to pressure on profit margins. The need to cure meat quicker due to short manpower and time as a result of the war could not be the full story. The World War One link from Griffith does not give all the answers, but it puts the introduction of sodium nitrite to meat curing between 1914 and 1918, at least 7 years before Griffith started to import Prague Salt. A document from the University of Vienna would fill out the story. According to it, saltpeter was reserved for the war effort and was consequently no longer available as curing agent for meat during World War One. (University of Vienna). It was reserved for the manufacturing of explosives, and for example, the important industry of manufacturing nitrocellulose, used as base for the production of photographic film, to be employed in war photography. (Vaupel, E., 2014: 462) It gets even better. Not only did the prohibition on the use of saltpeter expand the information from Griffith as to why people started using sodium nitrite (macro movements in culture does not take place because of one reason only), but it provide a name to the prohibition. In August 1914, the War Raw Materials Department (Kriegsrohstoffabteilung or KRA) was set up under the leadership of Walther Rathenau. It was Rathenau who was directly responsible for the prohibition on the use of salpeter. (5) He therefore is the person in large part responsible creating the motivation for the meat industry in Germany to change from saltpeter to sodium nitrite as curing medium of choice for the German meat industry during Wold War One. Walter Rathenau’s actions may have motivated the change, but it was the developments in synthesizing ammonia, sodium nitrate and sodium nitrite which provided the price point for the compound to remain the curing agent of choice, even after the war and after the prohibition on the use of saltpeter was lifted. One of the most important scientific riddles to be solved in the late 1800’s/ early 1900’s was how to produce ammonia and its related chemicals from atmospheric nitrogen. Sir William Crookes delivered a famous speech on the Wheat Problem at the annual meeting of the British Association for the advancement of Science in 1898. In his estimation, the wheat production following 1897 would seriously decline due to reduced crop yields, resulting in a wheat famine unless science can step in and provide an answer. He saw no possibility to increase the worlds wheat yield under the prevailing agricultural conditions and with the increase in the world population, this posed a serious problem. He said, “It is clear that we are taxed with a colossal problem that must tax the wits of the wisest.” He predicted that the USA who produced 1/5th of the worlds wheat, would become a nett importer unless something change. He pointed to the obvious answer of manure, but observed that all available resources are being depleted fast. Fritz Harber was one of the experts appointed by Rathenau to evaluate a study on the local production of nitric acid. So it happened that Germany became the leader in the world in synthesised sodium nitrate production and it effectively replaced its reliance on saltpeter from Chile with sythesised sodium nitrate, produced by BASF and other factories. 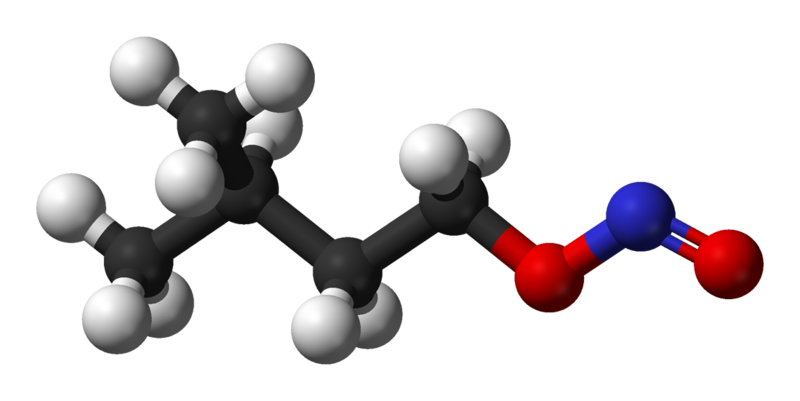 Ball-and-stick model of Amyl nitrite used in the production of nitroglycerin. Amyl nitrite is produced from sodium nitrite. The diagram shows the amyl group attached to the nitrite functional group. The importance of the manufacturing cost of nitrite and the matter surrounding availability can be seen in the fact that sodium nitrite has been around since well before the war. Despite the fact that it was known that nitrite is the curing agent and not nitrate, and despite the fact that sodium nitrite has been tested in meat curing agents, probably well before the clandestine 1905 test in the USA, it did not replace saltpeter as the curing agent of choice. My hunch is that it did not enter the meat industry as a result of cost. Nitrous acid (HONO) is to nitrite (NO2-) what nitric acid (NO3) is to nitrate (NO3-). The simple fact is that ammonia can be synthesized through the direct synthesis ammonia method at prices below what can be offered through Chilean Satlpeter. (Ernst, FA. 1928: 92 and 100) Sodium Nitrite can be supplied at prices below Chilean saltpeter and this made sodium nitrite the most effective curing agent at the lowest price since World War One. The thesis that before the war, the production of sodium nitrite was not advanced enough for its application in the meat industry (resulting in high prices and low availability) is confirmed when we consider the situation in the USA. The Vienna University document indicate that the fast curing of sodium nitrite was recognised and the ban was lifted when the war ended. It was this fact that Griffith picks up on in their literature. This is how it happened that sodium nitrite replaced saltpeter as curing salt. The ban on the use of saltpeter for non military uses by Walther Rathenau is the likely spark that caused butchers to look at alternative curing systems. A known alternative was sodium nitrite. Despite a similar ban on the use of nitrite, later imposed for concerns over the safety of nitrite in meat and because sodium nitrite was also used to produce explosives, it was available in such large quantities around Germany that it was possible to defy the ban. The likely consequence of the developments surrounding the production of atmospheric nitrogen is that sodium nitrite was being produced at prices that was previously not possible. These prices, combined with the volume of sodium nitrite now available made it a viable proposition to replace saltpeter in meat curing and to remain the curing brine of choice, following the war. (1) “The red color of fresh lean meat, such as beef, pork, and mutton, is due to the presence of oxyhemoglobin, a part of which is one of the constituents of the blood remaining in the tissues, while the remainder is a normal constituent of the muscles. When fresh meat is cooked or is cured by sodium chloride, the red color changes to brown, owing to the breaking down of the oxyhemoglobin into the two constituents, hematin, the coloring group, and the protein, globin. (3) Steve Hubbard, Vice President, Global Marketing and Innovation at Griffith Laboratories Worldwide, Inc. graciously provided me with much of the information from company documents. (4) Crown Mills was bought out by Bidvest and became Crown National. Determination of nitrite in meat products. University of Vienna, Department of Analytical Chemistry, Food Analytical Internship for nutritionists. Ernst, FA. 1928. Fixation of Atmospheric Nitrogen. D van Nostrand, Inc.
Griffith Laboratories Worldwide, Inc. official company documents. Lee Lewis, W. December, 1925. Use of Sodium Nitrite in Curing Meat. Industrial and Engineering Chemistry. Lesch, J. E.. 2000. The German Chemical Industry in the Twentieth Century. Kluwer Academic Publishers. Péligot E. 1841. Sur l’acide hypoazotique et sur l’acide azoteux. Ann Chim Phys. ; 2: 58–68. Redondo, M. A.. 2011. Effect of Sodium Nitrite, Sodium Erythorbate and Organic Acid Salts on Germination and Outgrowth of Clostridium perfringens Spores in Ham during Abusive Cooling. University of Nebraska – Lincoln. Salem, H. et al. 2006. Inhalation Toxicology, Second Edition. Taylor & Francis Group, LLC. Saunders, K. H. The Aromatic Diazo-Compounds and their technical applications. Richard Clay and Company. The Brainerd Daily Dispatch (Brainerd, Minnesota). 17 January 1923. Page 3. The Indiana Gazette. 28 March 1924. The Nebraska State Journal Lincoln, Nebraska. Wednesday, June 29, 1910. All for bleached flour. No harm can come from its consumption says experts. Page 3. The Times (London, Greater London). 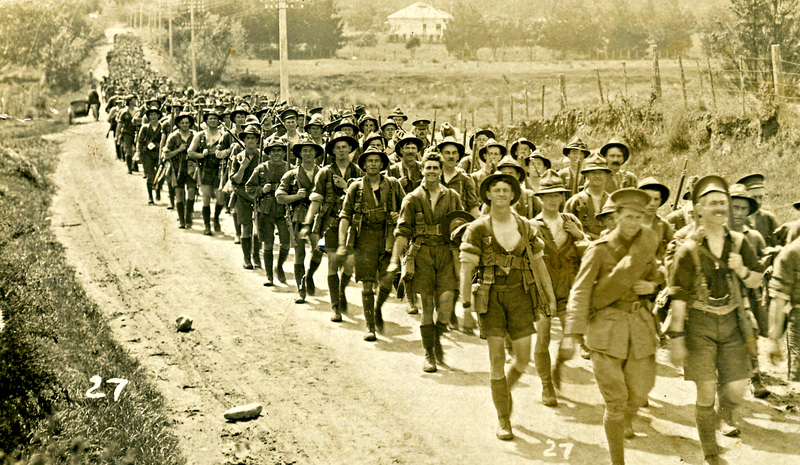 1 May 1919. Government Property for by direction of the Disposal Board. Explosives and Chemicals. Prices were coming down in 1920, as reported in The Cincinnati Enquirer ( Cincinnati, Ohio), 2 July 1920. Page 17. Van Cortlandt, P, et al. 1776. Essays upon the making of salt-petre and gun-powder. Published by order of the Committee of Safety of the colony of New-York. Wisniak, J, et al. The rise and fall of the salitre (sodium nitrate) industry. Indian Journal of Chemical Technology. Vol. 8, September 2001, pp 427 – 438. Wells, D. A. 1865. The Annual of Scientific Discovery, Or, Year-book of Facts in Science and Art for 1865. Gould and Lincoln. Whittaker, CW, et al. July 1932. A Review of the Patents and Literature on the Manufacture of Potassium Nitrate with notes on its occurrence and uses. United Stated Department of Agriculture. Miscellaneous Publications Number 192.